Voilage, Prêt à poser, En tête de voilage il y alarge, 7cm, ruban-tunnel pour passer la tringle ( ou la barre). DOM : Lettre Max 3E. Disney Rideau pour enfants La reine des neiges 250 x 140 cm Bleu. Motif : Groupe de La reine des neiges. Couleur : bleu. Certaines commandes ne sont pas expédiées par colis, de par leur taille et leur poids. Je vends ce très joli rideau PRINCESSES DISNEY. Ces rideaux sont le nec plus ultra pour les fans de Spiderman. Le super-héros capable de veiller sur youngers avec ces Rideaux, parfait pour une chambre ou une salle de jeux. Sous licence officielle de Marvel, les rideaux sont idéales pour l'équipe avec Spiderman literie coordonnée pour une chambre complète. Lavable en machine à 40 ° et séchage en machine Fabriqué à partir de microfibres Taille : 182,9 cm. Voilage à ?illet rouge CARS en 100% polyester. Taille : 140x240 cm Piles requises : Non Couleur :transparent Poids :0,33 kilograms. Hand wash only, do not tumble dry. Voile panels are the best way to allow light into your room while providing privacy and an added decorative beauty to your windows. IF YOU WANT THEM SHORTER WE WILL SHORTEN THEM TO WHAT EVER DROP YOU NEED TO FIT YOUR WINDOW. Voile panels are the best way to allow light into your room while providing privacy and an added decorative beauty to your windows. PREMIUM QUALITY VOILE NET CURTAIN. IF YOU WANT THEM SHORTER WE WILL SHORTEN THEM TO WHAT EVER DROP YOU NEED TO FIT YOUR WINDOW. Coole Fensterdeko für kleine und große Disney Fans. Die Sticker haften durch Adhäsion und sind daher beliebig oft ablösbar und wieder verwendbar. Im Lieferumfang enthalten ist 1 Bogen mit 5 Stickern. Größe Goofy: ca. 20 cm Maße der Trägerfolie: 24 x 69 cm Original Lizenzprodukt. Material Voile. Modèle : PERSONNAGES de DISNEY. COPIE ET L’UTILISATION SANS AUTORISATION DU PROPRIÉTAIRE EST INTERDITE. Licensed Cartoon Incredibles Net Curtain. Dimensions: - Width: approx. 150 cm (59”)- Length(drop): 150 cm (approx 59") Pattern: DISNEY CHARACTERS Heading: 5 cm Tunnel. Can be hanged on net rod,clips or wires. Voile panels are the best way to allow light into your room while providing privacy and an added decorative beauty to your windows. Each pack contains one voile panel ready to hang. Hand wash only, do not tumble dry. IF YOU WANT THEM SHORTER WE WILL SHORTEN THEM TO WHAT EVER DROP YOU NEED TO FIT YOUR WINDOW. PLEASE NOTE THE PHOTOS ON THIS AUCTION ARE PRIVATE PROPERTY OF THE CURTAINS FOR KIDS. COPYING AND USE THEM WITHOUT PERMISSION OF THE OWNER IS PROHIBITED. Chambre d'enfant rideau Disney winnie pooh winnie bébé toutes les mesures sur demande! Disney "Winnie l'ourson" Sheer curtain with passanti. Disney Net Curtain Curtain Rod -"Winnie l'ourson". Disney Net Curtain Curtain Rod -frozen - 75 cm Width X. 75 cm width x 157 cm length. You will receive 1 piece of curtain. Disney AG Design Princess Curtain with Cinderella design. Contains 1 curtain 140cm x 245cm. Tenda Disney Winnie the Pooh Velo colore Panna. Si tratta di un velo trasparente che crea un gioco armonioso di luci ed ombre con i raggi del sole che vi si riflettono. Ottima idea regalo. Non sei soddisfatto?. CETTE ENCHÈRE EST POUR RIDEAU NET DE MINNIE MOUSE. Material Voile. LARGEUR 150 cm x 155 cm DROP. Features Tab Top. Custom Bundle No. COPIE ET L’UTILISATION SANS AUTORISATION DU PROPRIÉTAIRE EST INTERDITE. Tenda Disney Principesse Princess Velo colore Panna. Si tratta di un velo trasparente che crea un gioco armonioso di luci ed ombre con i raggi del sole che vi si riflettono. Ottima idea regalo. Non sei soddisfatto?. Disney Minnie Mouse Sheer curtain with passanti.75 cm width x 157 cm length. Disney Curtain Net Curtain Rod -minnie Mouse 3 - 75 cm Width X. The sail panels are the best way to provide you with your privacy. Disney Spiderman Rideaux, Rouge, 137,2 cm,Ces rideaux sont le nec plus ultra pour les fans de Spiderman. Le super-héros capable de veiller sur youngers avec ces Rideaux, parfait pour une chambre ou une salle de jeux.,Marvel rideaux sont idéales pour l'équipe avec Spiderman literie coordonnée pour une chambre complète.,Lavable en machine à 40 ° et séchage en machine,Fabriqué à partir de microfibres,Taille : 137,2 cm. Disney "Winnie the Pooh" Sheer curtain with passanti. 150 cm width x 157 cm length. "Winnie the Pooh". Disney Net Curtain Curtain Rod -. - 150 cm Width X.
Voile panels are the best way to allow light into your room while providing privacy and an added decorative beauty to your windows. Hand wash only, do not tumble dry. IF YOU WANT THEM SHORTER WE WILL SHORTEN THEM TO WHAT EVER DROP YOU NEED TO FIT YOUR WINDOW. Disney Cars Sheer curtain with passanti. 150 cm width x 157 cm length. 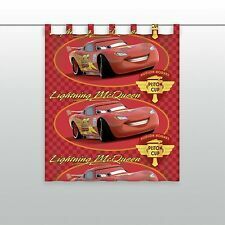 Disney Net Curtain Curtain Rod -Cars - 150 cm Width X. IF YOU WANT THEM SHORTER WE WILL REDUCE THEIR DROP WHAT NEVER YOU NEED TO ADAPT TO YOUR WINDOW. Featuring a pencil pleat design which fits on all curtain poles, they’re the perfect way to add character to their room. Kids love these curtains🚘🚘🚘. • Our ready-made curtains are sold in pairs. The size given here refers to each individual curtain, and is given width followed by length. Tenda Confezionata Winnie The Pooh Con Asole Misura 140x290 Composizione 100% Poliestere Consigliabile Prendere 2 Pannelli Per Un Balcone O Finestra A 2 Ande Prodotto Disney...Clicca Sotto per Descrizione Completa. These pretty curtains feature Mrs potts and a matching chip mug, as well as a striking silhouette of Belle on a colourful Pink background. The curtains are ideal to team with coordinating beauty and the beast or Disney Princess bedding for a complete bedroom makeover. 100% Polyester Microfibre. Product Material:-. Made from voile fabric. This window decoration consists of three parts: Minnie Mouse curtain and two pink curtains. 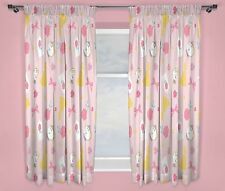 Great decoration and colourful curtain for kids with Minnie Mouse motive. Minnie Mouse Curtain 59" x 59".